Some dressage tests have as many as three halts included in the prescribed exercises; many have two. And of course, every dressage test has one halt as the final movement. So, if your horse has a habit of resting a hind leg in halt, that can very expensive in lost marks! But how do you stop your horse from resting a hind leg in halt? Is your horse in discomfort? Before you do anything else, it’s sensible to have your horse checked over by your vet to make sure that there’s no physical reason for him to rest a hind leg. That said, many horses rest a leg when they’re chilled-out and relaxed, so it could just be that you have a lazy horse who likes to take the weight off whenever he’s not moving! But it’s best to be on the safe side, so be sure to have him checked out before you begin trying to correct the habit. In a dressage test, the halt should be square and straight. The transition into halt should be obedient and balanced. If you can achieve all these things, you should be rewarded with a high mark. 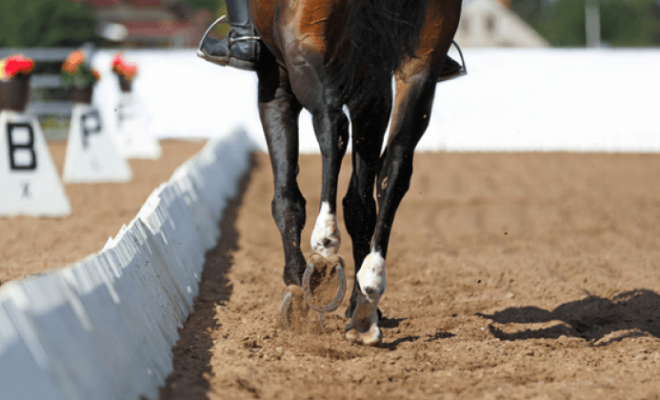 However, if your horse halts with a hind leg trailing or resting, you will be penalized. So, how do you ride a good, square halt? To ride a good halt, your horse must be submissive, soft over his back, and in front of your leg. If the horse is against your hand, tense, and hollow, he will not be able to “sit” on his hind legs when he halts, and he will be more likely to trail or rest a hind leg. Don’t expect your horse to stop on a sixpence without notice! That will lead to an abrupt, rough transition, a halt that’s not square, and a correspondingly low mark. Give your horse some warning before asking him to halt! 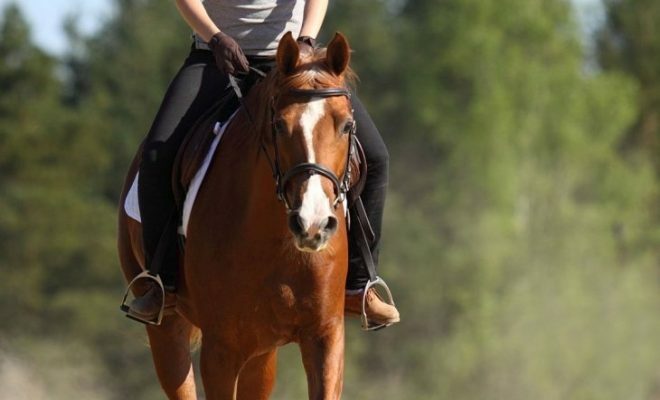 As you approach the marker where you want to execute the transition, ride two or three slightly shorter trot steps, keeping your leg on and maintaining the impulsion. That will help your horse keep his balance, push his hocks underneath him, and give you the best possible chance of the halt being square. Even though the halt is a downward transition, you must still ride forwards. Keep your leg on, and give a half-halt with the rein. That will keep the horse soft in your hand, maintain the engagement, and prevent him from leaning on the bit. Softening the contact is crucial as it will prevent the horse from coming against your hand and hollowing or opening his mouth as he halts. Also, if the horse is against your hand, he is more likely to swing his quarters to one side instead of halting straight. When you’re training your horse at home, don’t allow him to anticipate the halt by always riding it at “X.” Try almost halting, and then riding smartly forwards immediately. That will help to keep the horse engaged, balanced, and attentive, and should cure the problem of a trailing or a resting hind leg. What if the halt is not straight? 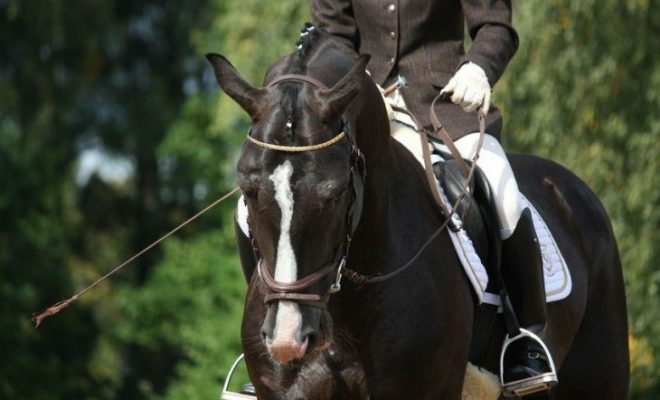 If your horse has developed the habit of halting crooked, try setting out two poles parallel and halting between them. Alternatively, ride the halt against a fence or wall and put a pole on the inside of the track. 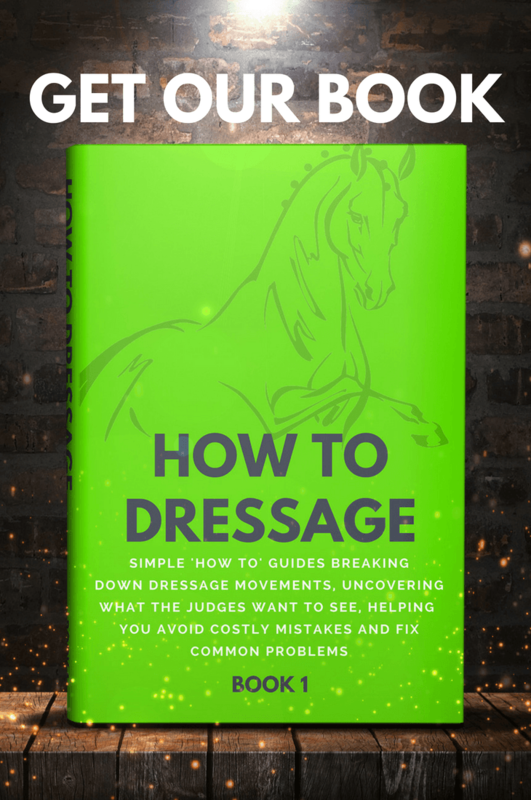 If your horse persists in resting a hind leg every time you halt even though you’re riding him forward into the transition and made sure that he’s soft in your hand, it could simply be that he’s developed the habit of doing so. So, you’re going to need to recruit a helper with a long schooling whip who can work with you from the ground. When the horse halts and rests his hind leg, ask your helper to tap the offending foot gently with the schooling whip. That should encourage the horse to stand up properly, four-square. Once the penny has dropped for your horse, you can repeat the exercise and use a long schooling whip to tap the horse’s hindquarter’s of the offending leg yourself from the saddle instead of from the ground. 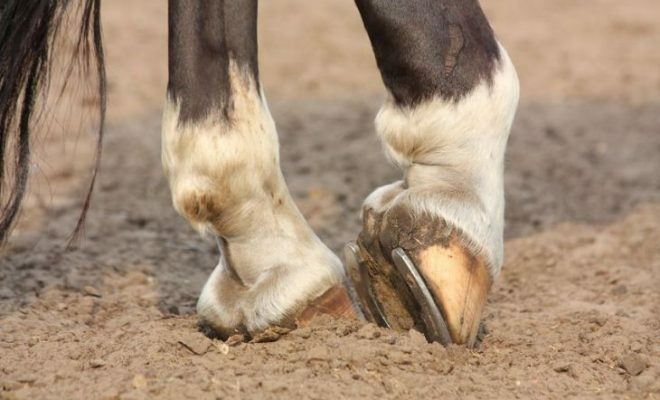 The most common reason for a horse resting a hind leg in halt, assuming he’s sound and there’s no physical reason for the habit, is a lack of impulsion and balance in the trot to halt transition. 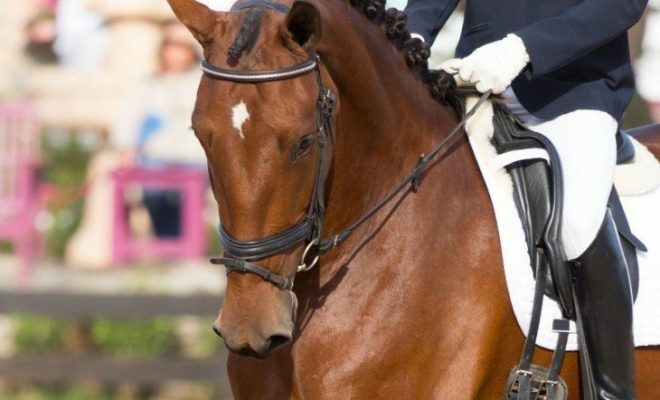 Practice riding your horse forward into the halt, while keeping him soft through his back and in the contact, to push his hocks underneath him. If the horse insists on resting a hind leg, try recruiting a helper to “tap up” the offending foot so that the horse stands four-square. Did our tips help you to cure your horse of the habit of resting his hind leg in halt? Tell us your story and any other tips you may have in the comments box below.